HIGH5 Nutrition > Výzkum > Spalujte o 41% více tuku > Young couple jogging in park at morning. Health and fitness. 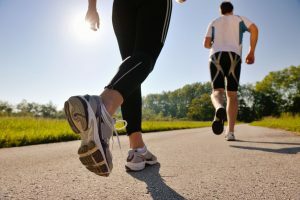 Young couple jogging in park at morning. Health and fitness.